Please be aware that a section of I-40 is closed for construction. Well-signed detours are in place, and most GPS systems are already programmed with this closing. 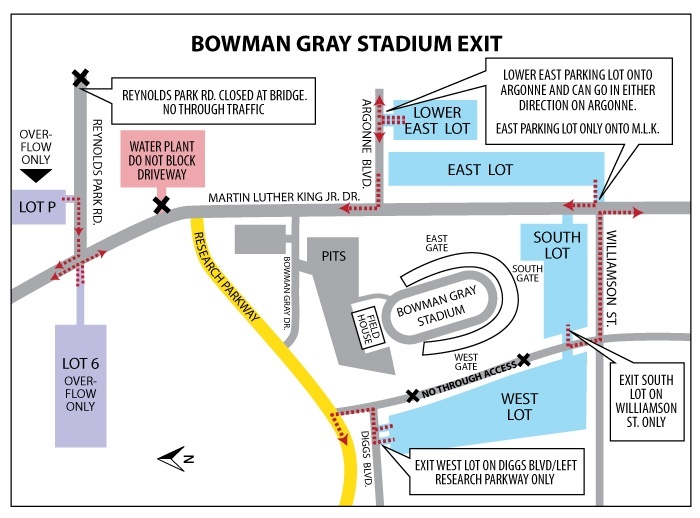 Parking is free at Bowman Gray Stadium. Please note that WSPD will be enforcing all No Parking violations with ticketing and towing on Saturday nights. Please note the below designated parking areas and free overflow lots. Signage will be in place on event nights to help you find parking, so we'll see you at the races! Handicapped parking is located in the South Lot, which offers the most convenient access to the facility. In the event that the accessible and general parking in the South Lot is full, handicapped patrons may still be conveniently dropped off. This drop-off will be allowed in the South Parking Lot at the Williamson Street - Diggs entrance. Patron must display a valid hang tag or license plate, and vehicle must exit onto Williamson Street to available parking after dropping off patron(s) at the South Entrance Gate. 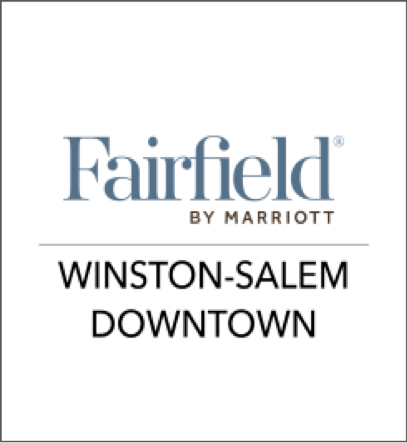 If you're coming from out of town and would like to stay close to the Stadium, we recommend staying at the Fairfield by Marriott Winston-Salem Downtown. Give them a call and ask for their Bowman Gray Stadium specials!